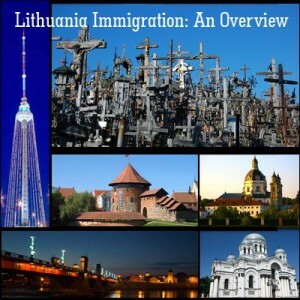 Lithuania Temporary Residence Visa, also known as Lithuania Temporary Residence Permit (TRP), refers to a legal document issued to a non European citizen. This means the visa holder has a right to live and work in the country for a fixed period of time. At the start, the visa is issued for a fixed period of one year, though it may also be issued for a shorter period. It can be issued for five years subject to those who are of Lithuanian descent and who have successfully retained the citizenship of the nation. The candidate is free to choose place of residence of his choice, and i travel within and abroad as per his specific convenience till the time the visa is valid. However, while changing the place of abode, the candidate must notify to the Migration Services of a public police division at a territorial police agency. The candidate should also not forget to declare his departure from the country exceeding the time period of more than six months. He can enjoy hassle free as well as visa free travel to Schengen states and the European Union (EU). He can travel abroad any number of times. He has a right to live and work in the nation. The applicant can easily obtain a visa to countries like Canada, the US, Australia, and the UK. He becomes eligible to purchase a car in his own name. He has a right to procure realty in the country. He can establish your own company. He enjoys many social benefits as par with its citizens, except the right to vote. The easiest and the smoothest way to acquire Lithuania Temporary Residence Visa is through business immigration – starting one’s own company. For that the aspirant should have a strong business plan and an ability to employ at least three Lithuanian citizens, although Student Visa also falls under the same category. Candidates, who wish to study in the country, may apply for the Student Visa. For students, Lithuanian residency is valid till the time his course of study is on. The candidate has to submit an application to get a visa ‘D’ which permits him to travel to Scandinavian states for a minimum of three months during the six months. A petition of the specified from to issue/substitute TRP. A legitimate travel certificate/paper (passport). Suitable Schengen visa or national permit unless a permit-free rule is applicable, when filing a petition for the TRP while already physically present in the Baltic nation. TRP while it is being swapped. Besides, temporary visa can also be acquired on the basis of family unification. Prospective immigrants, who wish to work in the country, may apply under the category. It is straight forward route ensuring 100% success. In order to acquire the temporary residence permit the candidate has to submit a visa application either at the Republic of Lithuania. He can also submit his application to the diplomatic mission. Candidates already living in the country can submit an application at the nearest migration services. The application visa processing time is six months, and if one has any doubts regarding the visa application, he can simply visit a migration center and get his doubts clear. It is important to note that the approval of temporary visa does not give a right to live in the country without a valid visa or to exceed the time period. Once the holder’s visa expires or is about to expire, he should get in touch with the Migration Services. He may lose a chance to obtain a fresh visa if he does not present an application for it well on time. Summary: Lithuania Temporary Residence Visa comes with many advantages. Initially, a visa is issued for a one year. It may be issued for a short duration also depending on one’s application. However, it’s subject to further extension. One may acquire Temporary Residence Visa if he wishes to study, start his own company. Previous Post: Are You Interested In Poland Temporary Residence Card?